Today we stared at the sun until we went blind, it was a good day. Many characters from the things, and extras! A smiling moon has almost finished crossing the sun. 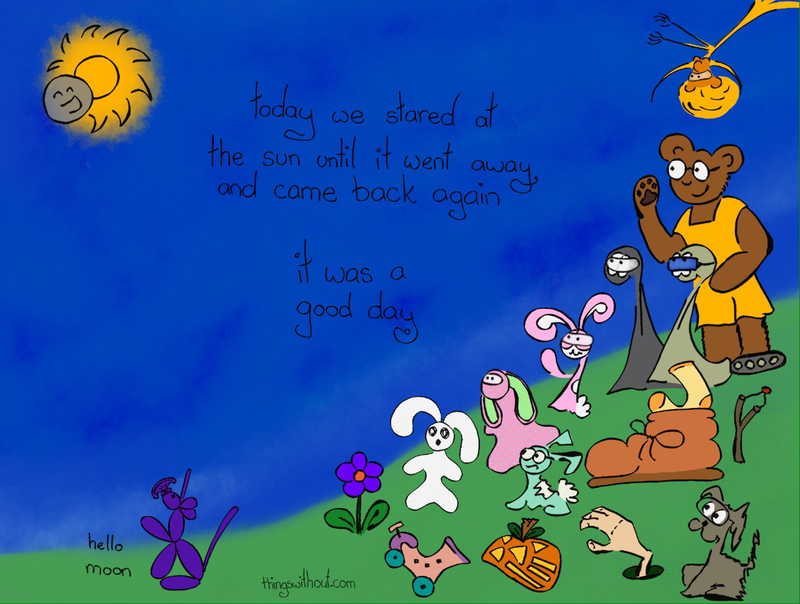 Today we stared at the sun until it went away and came back again.